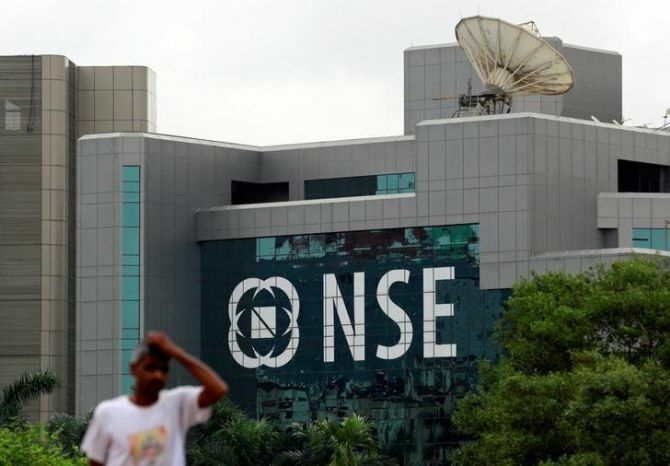 Rediff.com » Business » Are good days over for Nifty? Despite the three per cent sell-off in the frontline Indian benchmarks on Tuesday, the S&P BSE Sensex and the Nifty50, market pundits expect more downside for domestic equities in the days to come. Since the market rout has been triggered by global factors, mainly rising bond yields in the US, they expect the bearish tone to continue for a few more sessions before the Indian markets stabilise. In a worst-case scenario, the Nifty50 can slip to 9,500 levels, they say. "If there is one fundamental catalyst for the sell-off, it is the rise in bond yields. Until Friday, the S&P had gone without a three per cent decline from its peak for 310 days, its longest streak since 1980. "That has now been broken. We believe the correction might continue for around three weeks," said Hong Kong-based Mark Matthews, head of research for Asia at Julius Baer Group. Since the presentation of the Budget on February 01, the S&P BSE Sensex has plummeted over 2,200 points, or 6.2 per cent. Besides the weak global cues, sentiment back home has been impacted by the proposal to impose long-term capital gains tax on equities in the recently announced Budget. "The markets have just kept going up despite the rising bond yields. I am not surprised by the correction seen on Tuesday. "The markets can slip another three per cent from here on before we see any stability in the short-term. "The correction will just wash out the excesses," says Andrew Holland, chief executive officer, Avendus Capital Alternate Strategies. Tirthankar Patnaik, India Strategist at Mizuho Bank, too, believes that there is more pain in store for the markets. "It is very unlikely that such a fall will just be a one-day affair. The fall in equities markets has been accompanied by a commensurate rise in the bond yields, especially in the US and Germany (bunds). While we are looking at good global growth numbers, we are not seeing a commensurate rise in inflation. The bond yields are reflecting overbought conditions in equities that are now being taken care of rather than a return to inflationary conditions. If the S&P 500 retraces 25 per cent gains it made last year, the Nifty50 can easily slip to 9,500 levels," he says. So what should your portfolio strategy be? Is it time to go bottom fishing or should you stay on the sidelines till the uncertainty is over? Given the near-term outlook, analysts advise retail investors to remain fence-sitters and ride out this uncertainty. "I think investors should wait and let things settle. Even if they miss the first five per cent of the recovery, there will have a bigger ride going forward. "Let the markets do what they have to do. In terms of sectors, this is a good time to rejig the portfolio and look at quality again. "I will stick to private banks, consumer (FMCG) and information technology (IT) for the short-term," Holland adds. Private banks and non-banking finance companies (NBFCs) are two segments Patnaik of Mizuho Bank likes and suggests can be bought into in case the markets correct further. Hemang Jani, Head - Advisory at Sharekhan, however, has a contrarian view. He says investors who have surplus funds and have a time frame of over 12 - 24 months can increase allocation to equities, as there has been a meaningful correction in the market after a long time. "We see this as an opportunity for retail investors, as this is happening at a time when earnings growth revival is seen across companies after a gap of almost three years. "Some of the companies like Maruti, Escorts, HDFC, HDFC Bank, Larsen & Toubro (L&T) and JSW Steel that have reported good numbers this quarter and have upside potential of over 15 per cent can be looked at," he says.